• Contains skin protectants, Zinc Oxide (10% - active ingredient), Dimethicone and Mineral oil to form a protective layer that shields baby's delicate skin from the causes of irritation. • Neutralises pH in seconds and provides instant comfort from the first use, and immediate protection from the diaper rash, soothing baby skin to leave it soft and smooth. • Developed for baby’s delicate skin and ideal for daily use. • Easier to spread than other diaper creams and easier to clean. 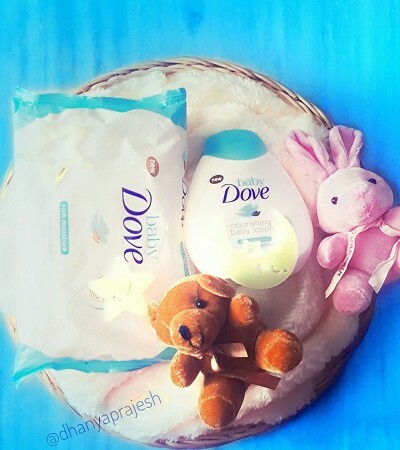 My family for babies mostly use dove soap for bathing, it's very safe and doesn't harm delegate skin of babies, it sustains the moisture too. I have use it for myself also it's very good and the mild fragrance is amazing. I have used Baby Dove Sensitive Soap Bar for my son, and it's too good.He liked the creamy texture & fragrance of the bar, no need to apply talcum now.